Additional Info: Parking next to the caravan. New Patio furniture. En suite to master bedroom. Large shower cubicle in main bathroom. Our caravan is on Osprey 21 which is a quiet cul de sac, a short walk from the main complex on Kiln Park which houses the pool and entertainments centre. The caravan has its own private parking space next to the caravan. 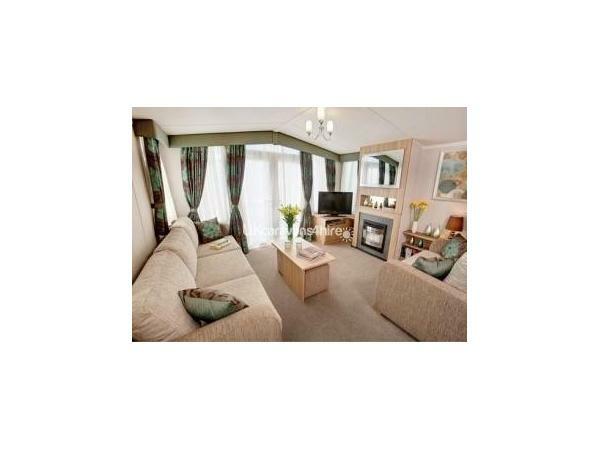 The caravan has 3 bedrooms (1 double and 2 twin) and there is a convertible double bed in the lounge area. Duvets and pillows are provided and bedding can be ordered from Kiln Park if required. We are happy to organise this for guests. The caravan is double glazed and has central heating throughout with a stunning electric fire with pebble bed as the main feature in the sitting room. Provided in the caravan is a 32" flat screen television with integrated d.v.d player and a selection of DVD's. There are also games for the children to use. 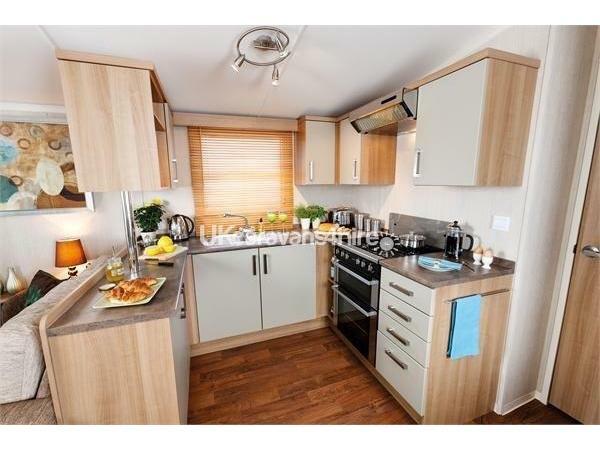 The kitchen has a full size cooker, microwave, large fridge freezer, toaster and kettle and a full inventory. Gas and electric are included in the price. This is a no smoking caravan and dogs are not allowed. You will be able to access the key via the key safe on arrival. Thank you very much for your feedback. We are very pleased that you enjoyed your holiday in our caravan, and great to have you back in 2015!